Things to Do Before Heading to Mount Bromo! Ah, Mount Bromo, one of Indonesia’s active volcano, but in the same time, a volcano with a beautiful scenery. Mount Bromo is located in East Java, Indonesia, filled with other mountains surrounding the volcano, as well as having grey sand all around the base of the volcano. Going to Mount Bromo will be a thrilling experience for anyone to have, and to maximize your experience, here are top 5 tips you need to know before going to Mount Bromo! 5. DO NOT Forget to Bring Warm Clothes! Trust me on this, bringing warm clothes to your journey will make everything easier and much more comfortable on you. Mount Bromo is pretty cold! 4. Do Not forget to bring Indonesian Rupiahs! Now, being honest here, almost everyone who is visiting a foreign country must have some of its currency right? Also, if you are in need to extra, you can go to a money changer right? Well that is true, but not on Mount Bromo. The area close by of Mount Bromo are villages and hiking spots. There are no malls, or an authentic money changer nearby. Bring extra Indonesian Rupiahs would not hurt you! 3. Figure Out Where You are going to Stay! Do not forget! Mount Bromo is a famous tourist area! So do not be shocked if you are seeing a lot of hotels nearby. This also means that if all the hotels are booked, you will be in a big trouble. It is best if you plan first and book the hotel you’re going to stay so you are all settled in. Especially in the summer or holiday season. Mount Bromo is pretty packed! 4. Hire a rental car/ jeep and a driver (If necessary)! 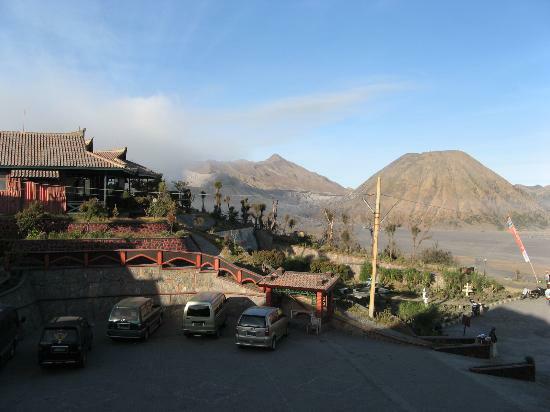 The actually Mount Bromo site is very far away from the base and where most of the hotels are located. Hiking up there is a choice for you if you want to, but for most people, since it is cold and very far away, hiring a rental car or a jeep, together with a driver if necessary is going to save you a lot of time! There are many options, you can just hire a motorbike if you want! If you want to be healthy, go hiking! The last but not least, you need to have fun in Mount Bromo! Bring some friends with you! Going to Mount Bromo is a very thrilling experience, so you need to have fun! Wake up early in the morning to see the sunrise! See the crater of Mount Bromo, it is very thrilling. The point of this trip is to have fun, do not forget that! You will never forget the thrills of being in Mount Bromo. Trust me in this, if you follow these 5 tips before going to Mount Bromo, you will have the best experience in your life! There are still more to look around and learn before going to Indonesia! Look around http://jejakku.co for more information! Good luck and have fun!